Shakespeare and World Cinema explores the contemporary significance of Shakespeare cinema outside the Hollywood mainstream for the first time, arguing that these adaptations are an essential part of the story of Shakespearean performance and reception. Shakespeare and World Cinema radically re-imagines the field of Shakespeare on film, drawing on a wealth of examples from Africa, the Arctic, Brazil, China, France, India, Malaysia, Mexico, Singapore, Tibet, Venezuela, Yemen and elsewhere. Mark Thornton Burnett explores the contemporary significance of Shakespeare cinema outside the Hollywood mainstream for the first time, arguing that these adaptations are an essential part of the story of Shakespearean performance and reception. 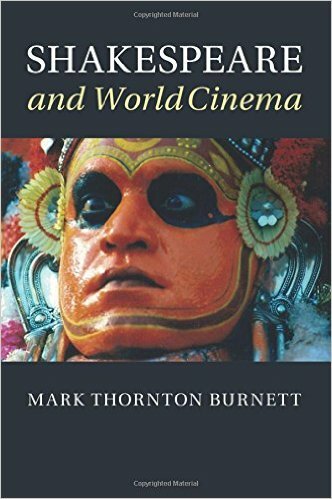 The book reveals in unique detail the scope, inventiveness and vitality of over seventy films that have undeservedly slipped beneath the radar of critical attention and also discusses regional Shakespeare cinema in Latin America and Asia. Utilising original interviews with filmmakers throughout, it introduces new auteurs, analyses multiple adaptations of plays such as Macbeth and Romeo and Juliet and pioneers fresh methodologies for understanding the role that Shakespeare continues to play in the international marketplace.